Makati (/məˈkɑːtɪ/ mə-kah-tee Tagalog pronunciation: [maˈkati]), officially the City of Makati (Filipino: Lungsod ng Makati), in the Philippines, is one of the sixteen cities that make up Metro Manila. 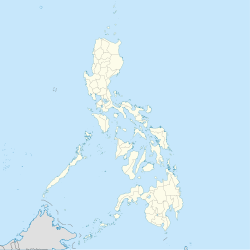 Makati is located within the circle of 14′40″ °north and 121′3″ °E right at the center of Metro Manila. Makati is the financial center of the Philippines; it has the highest concentration of multinational and local corporations in the country. Major banks, corporations, department stores as well as foreign embassies are based in Makati. The biggest trading floor of the Philippine Stock Exchangeis situated along the city's Ayala Avenue. Makati is also known for being a major cultural and entertainment hub in Metro Manila. With a population of 609,123 Makati is the 16th-largest city in the country and ranked as the 41st most densely populated city in the world with 19,336 inhabitants per square kilometer. Although its population is just half a million, the daytime population of the city is estimated to be more than one million during a typical working day because of the large number of people who go to the city to work, shop, and do business. Makati City is one of the most well-known shopping hub of Metro Manila. Various shopping centers, offering both international and local retail shops, high-end boutiques, dining outlets and entertainment facilities can be found around the city. The Ayala Center is a major commercial development operated by Ayala Land, it is located at the central business district of Makati, the center is known for its wide array of shopping, entertainment and cultural offerings, making it a premier shopping and cultural district in the metropolis. It is a vast walkable complex with high-end malls that houses cinemas, local and international shops, homegrown restaurants and international food chains. The shopping malls that are located at the Ayala Center includes Greenbelt, Glorietta, Park Square, and The Link. The Ayala Center is also home to 3 department stores which include SM Makati, Rustan's, and The Landmark. Aside from the Ayala Center, the Rockwell Center is also a popular shopping district in Makati, it is home to the Power Plant Mall. The Salcedo Saturday Market and Legazpi Sunday Market are popular open-air community markets. These markets offers organic products, specialty foods, fruits, vegetables, fish, gourmet items and antiques.